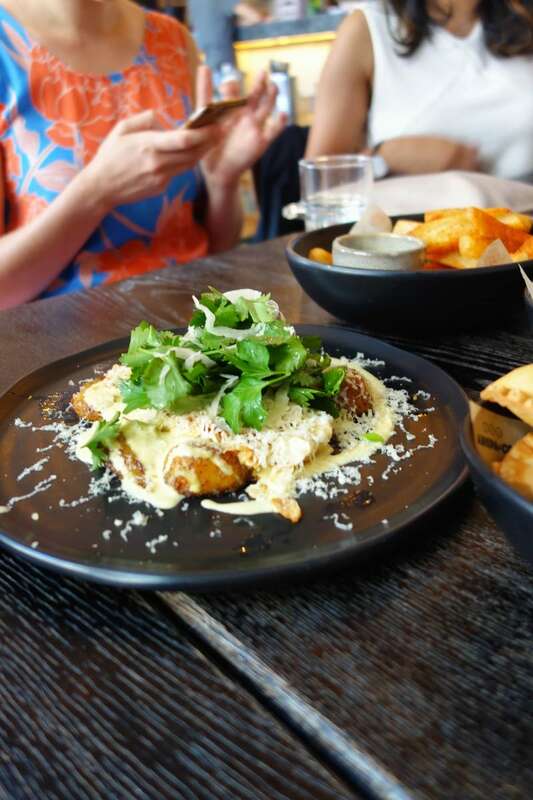 Between the ever growing world of burgers, pizzas and pasta, Venzuelan food is not one you see much of in London and I’ll be honest and say I’m not really that familiar with it. 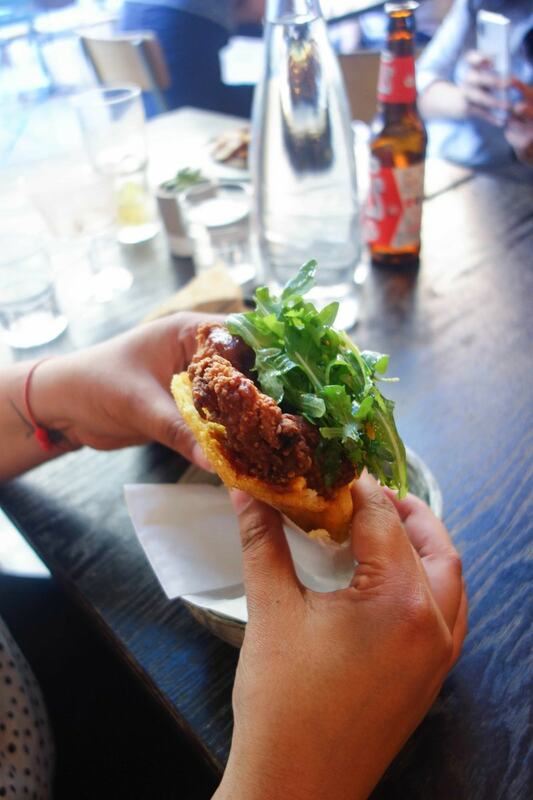 My first try of this cuisine was when I tried a sticky glazed chicken arepa (a stuffed piece of cornbread) by Petare at Street Feast Hawker House and it was the best cure to a Sunday hangover I could ever have asked for. My love affair was born. 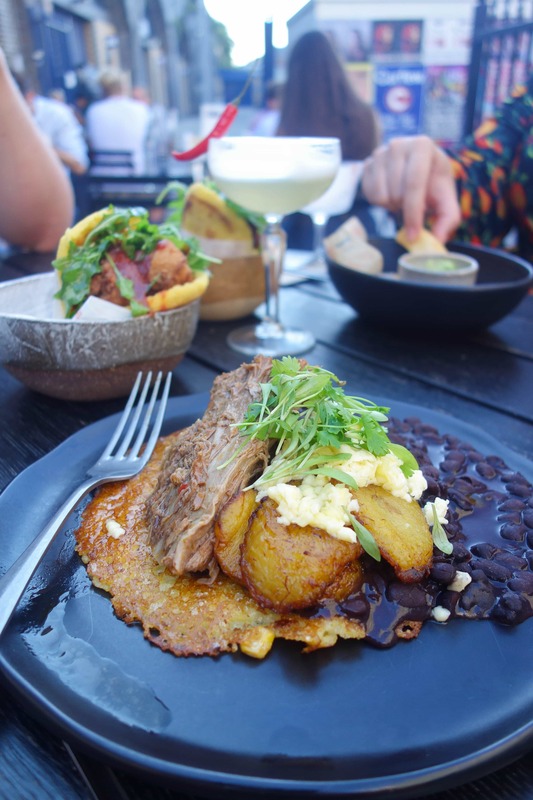 Strolling around on Instagram I can still remember the picture of a beef pancake with an egg on top that caught my attention and that’s how I found out about Arepa and Co. 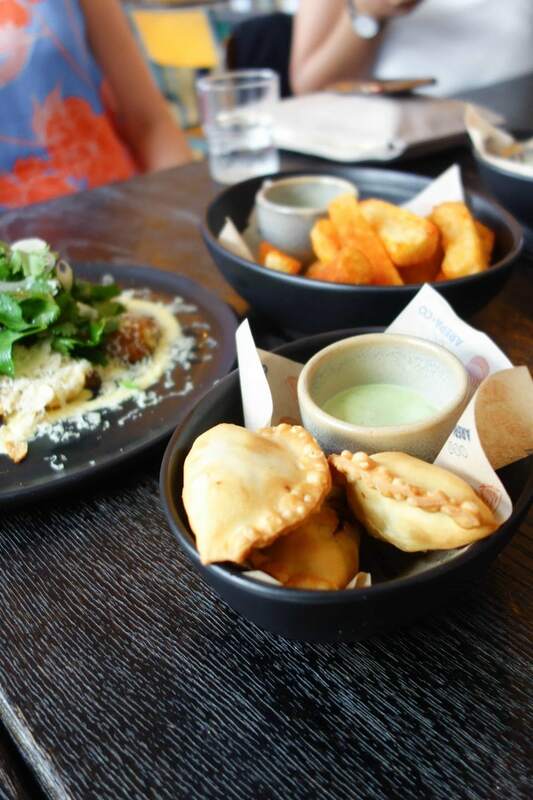 They are self confessed ‘traditional Venezuelan with a creative and modern twist’ and with my first experience of Venezuelan being so good I decided to give these guys a try for the July The London Food Social . Spoiler alert, I loved it so much I’ve been back twice since! 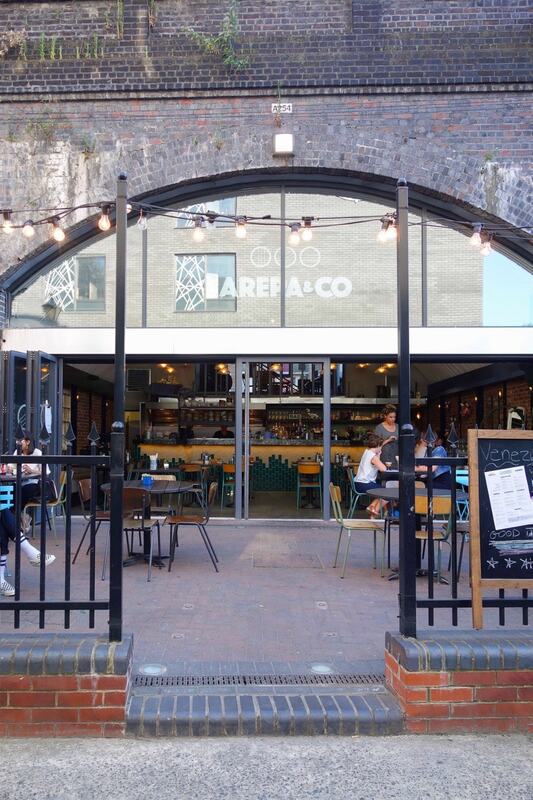 Arepa and Co have got 2 venues, both in East London but both with quite different vibes – one just off a main road sat inside a railway arch and the second by the side of a beauitful canal. Told you they were different. 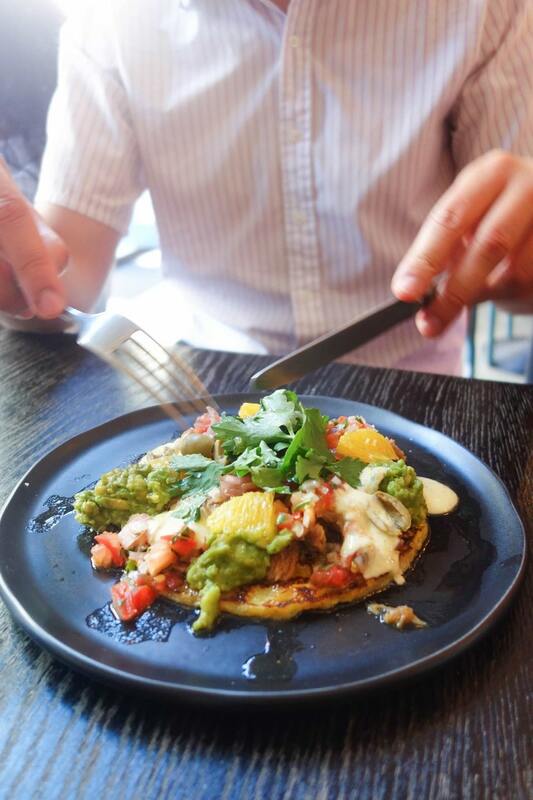 Their namesake stuffed cornbread arepa’s are the headline act (and gluten free by the way) but believe me they’re sooooooo much more then that. 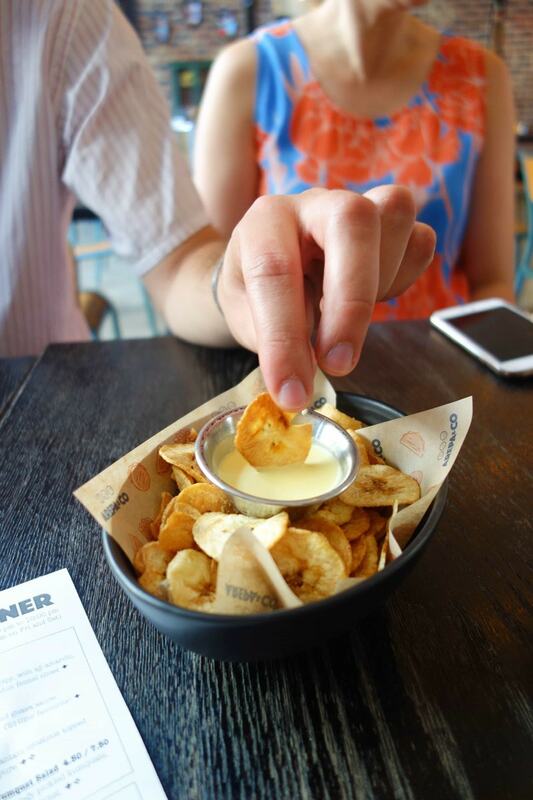 I highly recommend the creamy, sweet plantain, the cheese parcels and the crispy yuca fries – a crispier, lighter version of our usual chips. … and the main the dishes come in hearty portions of texture and colour. 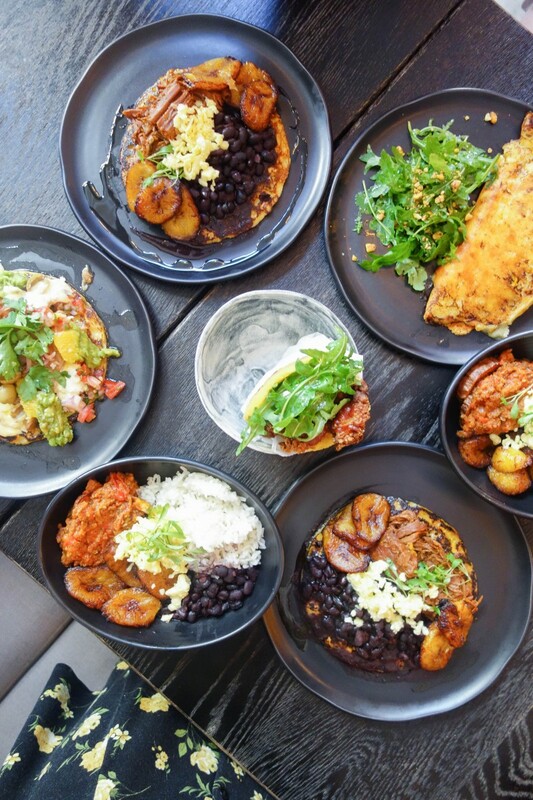 The Capaphas are a savoury cornbread pancake not like any pancake you’ve eaten before and the Pabellon are more substanial, classic bowls of rice, beans meats and veggies. On that note, vegetarian friends, they’ve got you WELL covered. 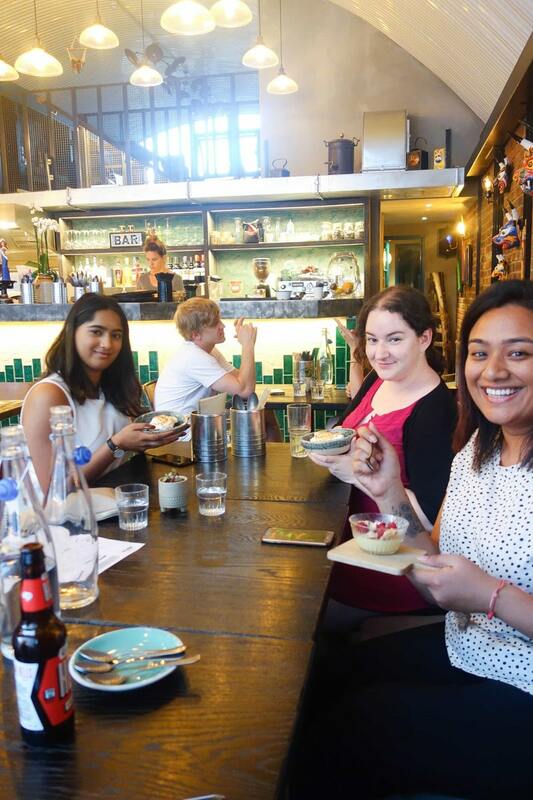 Can’t not but end on dessert, of course. Venezuelan style! Tres leche cake. 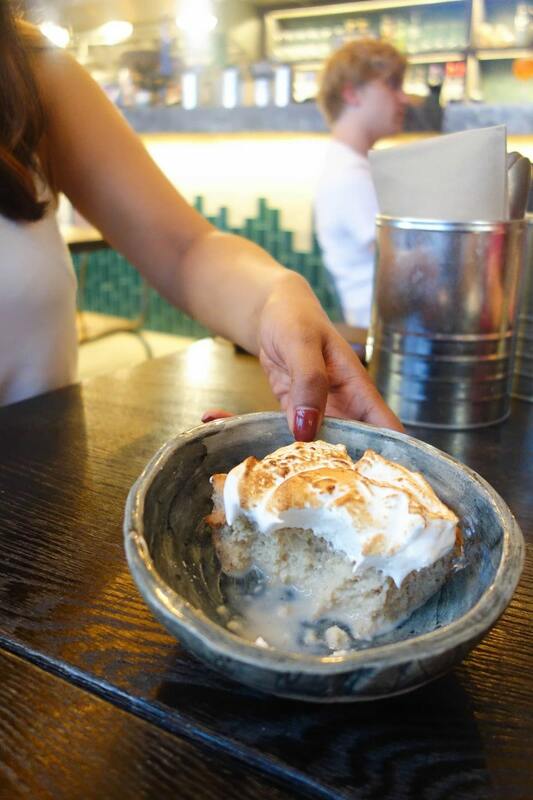 A sponge soaked in milk with a marshmallowy like top. Suprisingly light but equally decadant. 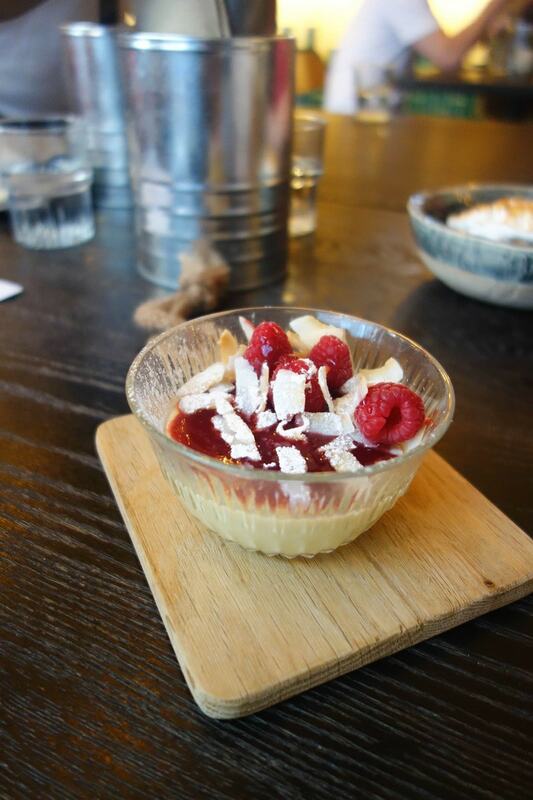 Cinnamon, coconut and raspberry rice pudding. No, not like the awful one you used to get in school. 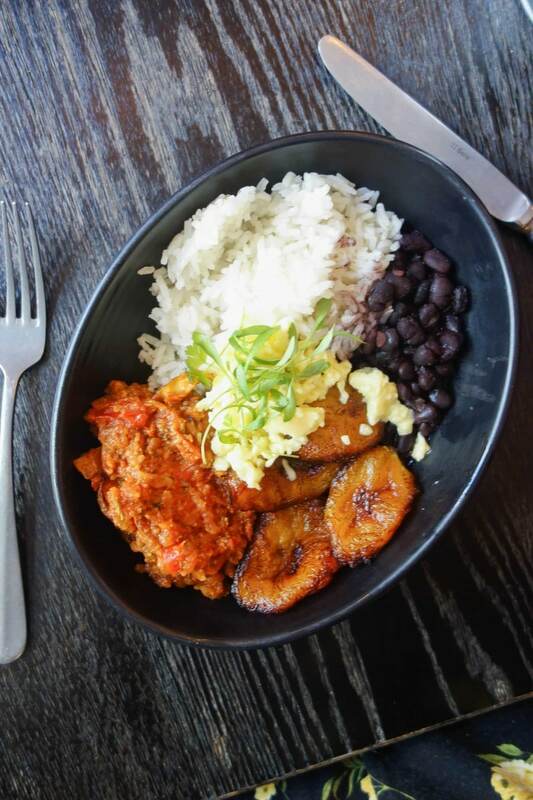 So, should you pay a visit to Arepa & Co? Absolutley. Depending on what vibe you want choose your location wisely. I mean, a canal side restaurant doesn’t get any better for date night, right? Where as if you’re uber cool like me (yes, I’m taking the piss) and fancy sitting inside a railway arch, well Bethnal Green is your spot. The food is interestesting, different and a little bit exotic. A word not normally assosiated with East London. 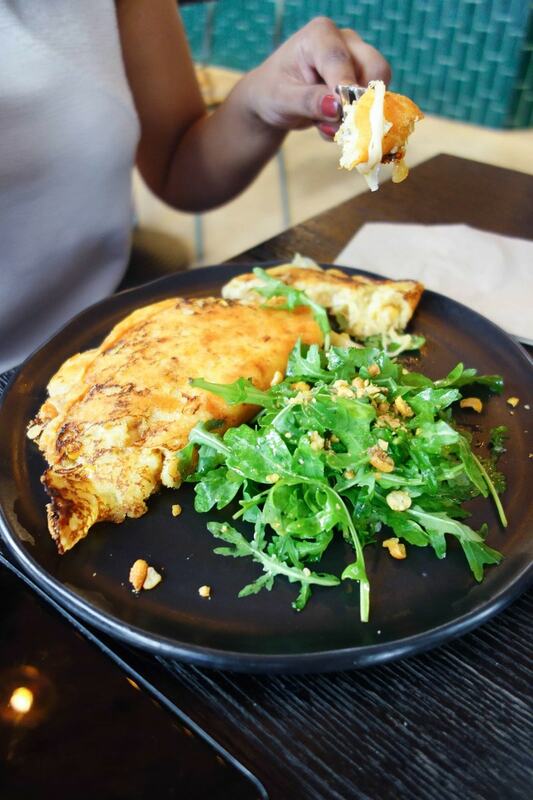 It’s a world of texture, flavour and it’s somewhere to be a little bit adventurous and get out of our comfort zone for a while. I mean, who doesn’t need that every now and again? 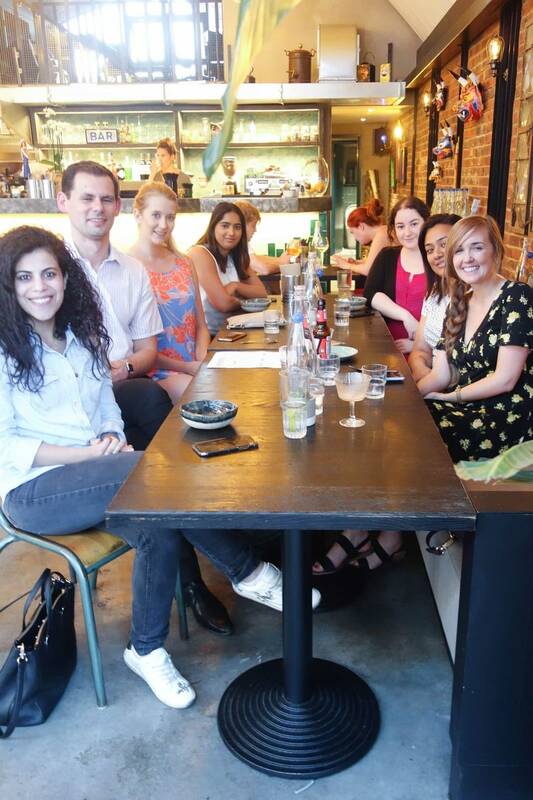 Thanks for everyone who came to join The London Food Social. If you want to get find out how to get involved in the next one click here. Ooh this place looks AMAZING! I’ve tried arepas once before from Petare’s food stall and I loved them so much. 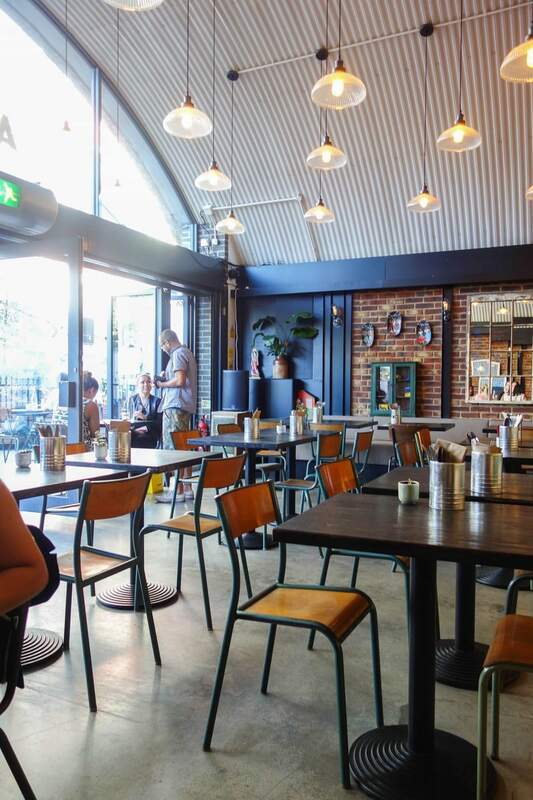 I’m so happy to hear that I can now get them from a sit down restaurant as well – yay!